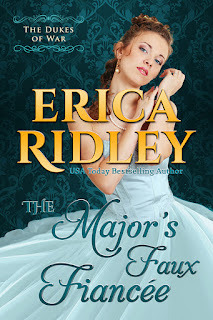 Today I would like to bring to your attention a historical romance series I have just recently heard about: The Dukes of War series by Erica Ridley. 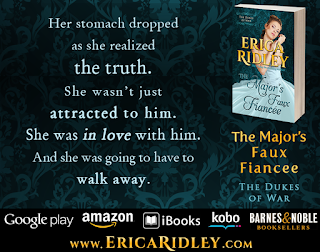 The good news for any book and historical romance lover is that The Major's Faux Fiancée, Book #4 of the series just got released, so that means you can devour 4 deliciously romantic (and sizzling) stories and Book #5 will come out in September, which thankfully isn't that far away. 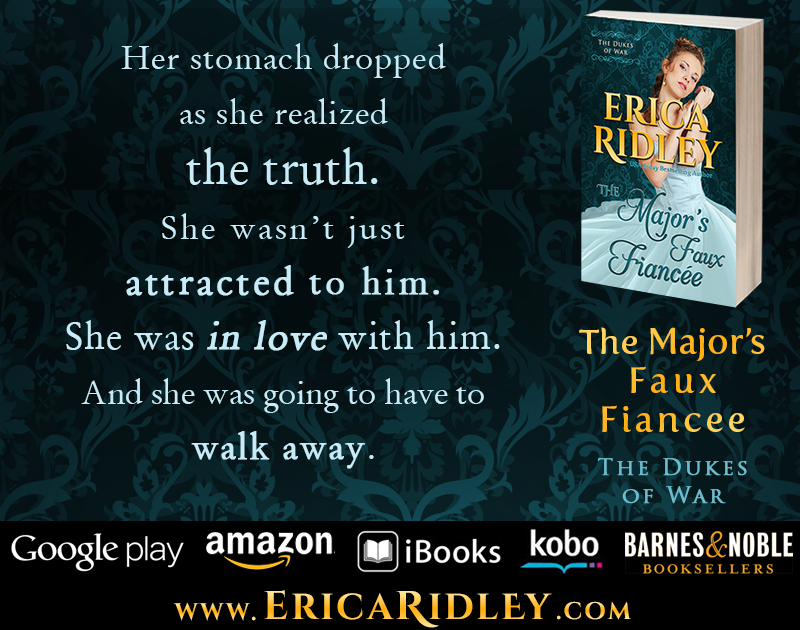 So read on to learn more about The Major's Faux Fiancée, and enter the giveaway at the end of the post. 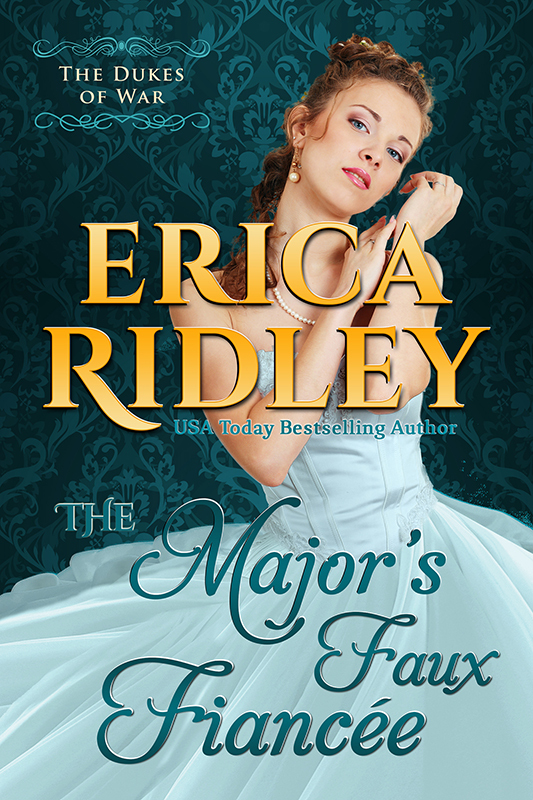 When Major Bartholomew Blackpool learns the girl-next-door from his childhood will be forced into an unwanted marriage, he returns home to play her pretend beau. He figures now that he's missing a leg, a faux fiancée is the best an ex-soldier can get. He admires her pluck, but the lady deserves a whole man—and he'll ensure she gets one. Daphne could barely even hear the music over the thundering of her heart at what this moment meant to him. Bartholomew wasn’t just dancing with her. He was risking all the rejection and humiliation he’d had to cloister himself into his town house to avoid. He was confronting his deepest fears just for the chance to waltz in the garden with her. “Indeed.” He lowered his mouth. Slowly. Giving her plenty of time to turn away. She slid her fingers into his hair and lifted her lips to his. He was what she wanted. His kisses were gentle. Tender. She didn’t want gentleness. Her heart yearned for him too sharply to be content with mere tenderness. Her kisses were hungry, demanding. She wanted every taste, every sensation to be seared upon her soul. If she couldn’t keep him in her arms, she would keep moments like these in her memory. Cleave them to her heart. His feet stilled and, slowly, he broke their kiss. Their private waltz had come to an end. She couldn’t repress the small sound of disappointment that escaped her throat… until she realized how far they now were from the ballroom. Although still and bare, the gardens’ trees and fountains provided a dark, secluded nook, sheltering them from prying eyes and the winter wind. They were alone. Scandalously, deliciously, alone. She didn’t think for a moment that it meant he was finally willing to introduce her to hedonistic pleasure—no matter how many nights she dreamt of just such a liaison—but she was greedy for any part of himself he was willing to share. He led her to a stone bench and pulled her onto his lap. Eagerly, she wrapped her arms about his neck, thrilling at the warmth of his embrace. He could have forced her to go back inside. Yet he cradled her in his arms instead. She wished she could be there forever. Her heart beat so rapidly, pressed against his. He kissed the top of her head, the side of her temple, the shell of her ear. Letting her know he wanted more. Letting her know it was her choice. Of course she would choose him. She lifted her parted lips to his. He took her mouth. Her soul. His arms were heaven. She devoured him, her tongue dancing with his. He held her closer. The heat and passion of his kisses proved the intensity of his desire matched that of her own. Her skin grew hot. Her clothes, restrictive. She wished she could tear his greatcoat from his beautiful shoulders. 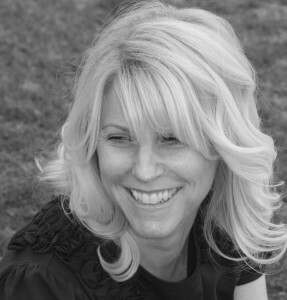 Feel her mouth on his warm neck, his muscled arms, his bare chest. To taste him on her tongue and know that he was hers. The fantasy was so intoxicating, it stole her breath. Robbed her ability to think. His kisses heated her flesh. All she could do was lose herself in the moment. Surrender to his mouth, his touch. And pray he never let her go. 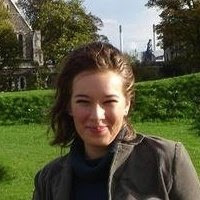 Erica has generously offered an ebook copy of Dark Surrender by Erica Ridley to a lucky reader! To be entered, just leave a comment and answer the following question: Which book in the Dukes of War series would you like to read and why? Book #1: The Viscount's Christmas Temptation - FREE on Amazon! Giveaway is open worldwide and ends on 26 June 2015! Excerpt: Blame it on the Kiss by Robin Bielman + 2 GIVEAWAYS! For a chance to win an ebook copy of Keeping Mr. Right Now by Robin Bielman, the 1st book in her Kisses in the Sand series, from Amazon or B&N, just leave a comment and tell us about a memorable kiss either you had, read about or saw in a movie/series! Giveaway is open worldwide and ends on 19 June 2015! 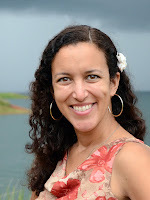 Win a lovely necklace – Open for International Shipping!